If you are interested in growing weed to use personally, for medical needs, or just to meet your green thumb needs, then you have come to the right place. As it isn’t easy for beginners to start growing right away, it is important that you learn the basics of how to grow marijuana so that you don’t lose your investment on your seeds and equipment you’ll need to succeed. Before we get into the procedures to growing weed, we’ll go over the basics that you’ll need to know before you start. Before you learn how to grow cannabis, you’ll need to see what you need so that you can see what you need to look out for in the instructions below. Since we’re growing a plant, we’ll need a seed to begin with! 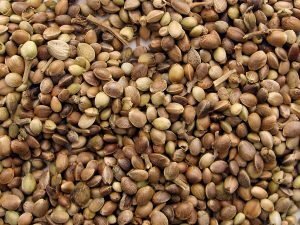 When it comes to marijuana, there are three types of seeds that you can go with. A regular seed, a feminized seed, and an autoflowering seed. A fourth can be added if you consider a combination of the feminized seed and the autoflowering seed as a type itself. Then we got the Sativa dominant seeds and Indica dominant seeds, which offers two wholly different experiences of high. And of course, the combination of these two genetics create a hybrid seed, which gives you the best of both worlds. The regular seed is one that most people tend to grow due to it having high yields and coming in a wide variety of effects and sizes. Before genetic manipulation that caused the creation of the feminized seeds and the autos (autoflowering seed), the regular seed was the only option, so we recommend this option if you want to stick with the most traditional one. However, the con with this seed is that you’ll get 2 different types of genders of plants. The female one is the one you’re looking out for as it produces buds that are effective and the male plants being the useless ones and the ones you want to remove. 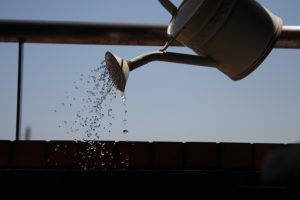 If you grow using a regular seed, you’ll have to account for 50 percent of your harvest being male and 50 percent of your harvest being female, so if are a supplier or need a certain amount for your own needs, then account for this. The feminized seed is a direct solution to the problem above, as it only produces female plants 99.9 percent of the time. This is because through genetic engineering, the male genes that are required to produce male plants are removed and only the female genes are left, causing all feminized seeds to be female. Although this may sound dangerous to use since the genes have been tampered with, it isn’t as only the parent’s genes have been modified and the child is just a result. By using this type of seed, you won’t have to predict 50 percent of your harvest being useless. The autoflowering seed is a bit different from the seeds above, as it produces a bit of a smaller yield and is shorter. However, it doesn’t require as much maintenance because it can go from the vegetative phase to the flowering phase without the need to change light cycles. Autos can also grow within a smaller period of 6-8 weeks which allows you to replenish your supply more quickly. One more pro of using autos is that it grows in a shorter fashion, allowing you to use a compact space instead of having to clear a lot of room to accompany the height of regular seeds during the flowering season. There are a lot of different seed banks out there. We advise you to only stick to well-known seed banks so that you don’t get ripped off by having fake seeds, or just low-quality seeds overall. Once you’ve grown your first plant, we strongly advise cloning your plant to grow even more plants. Use cloning gel to help the plant recover from the cutting. Cloning your plant saves money and time, which is something you always should strive to save in your growing marijuana process. To grow all your plants, you’ll need a grow room and by using grow tents and/or boxes, you won’t have to worry about pests getting to your plants or affecting your variables that may change the growth or health of your plant. 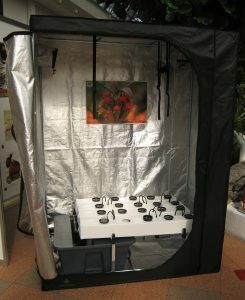 A grow tent is basically a greenhouse, but in a smaller fashion that you can set up easily. However, it usually doesn’t come with anything, so you won’t have any help when setting everything up. This means that you’ll have to go out and get different lights for different phases and control all the variables that may affect your plant yourself. The good thing about a grow tent, however, is that they tend to be bigger but cost less than what you would pay for a grow box. A grow box is a smaller version of the grow tent, but usually, comes with everything you’ll need to grow your marijuana. This is especially great for those that are starting out growing weed, as you won’t have to worry about getting any lights or worry about cycles as the box comes with everything you’ll need to complete your cycle from the vegetative phase to the flowering phase. However, the grow box is small and can only fit a certain amount of plants. It also costs a lot more than the grow tent. You will need to purchase lights that can help replace the sun when you are growing your plants indoors. This light must be quite high quality, as light plays a huge role when growing your cannabis. However, the costs of lights tend to be quite high, so make sure that you can find a quality one within your budget. There are several alternatives when it comes to lights that we’ll be discussing briefly below. This is the most efficient type of grow lights and usually the go-to light for an experienced grower. It’s also the easiest to handle for a beginner since you don’t need to replace bulbs or having the lights run too hot (and in worst case kill your plants). LED grow lights is the most expensive option available, but it’s worth every penny. If you are on a tight budget, then using a fluorescent grow light (also known as T5 grow lights) may be the best choice for you. This is because they are cheap and work well, but the downside is that they aren’t the most efficient. We recommend them if you’re not able to use LED lights in your grow room. These lights are the most widely used and if you have a decent budget, then we recommend that you get HID grow lights for your setup. This is because their upfront costs aren’t that high and they are efficient when it comes to energy consumption. We don’t recommend that you use these lights if there are other options available, as they aren’t cheap and not readily available. However, if these are the only options available to fit your grow room, then you can make it work as well. First, you will need a designated location for growing or a “grow room” where you will be growing all your weed. 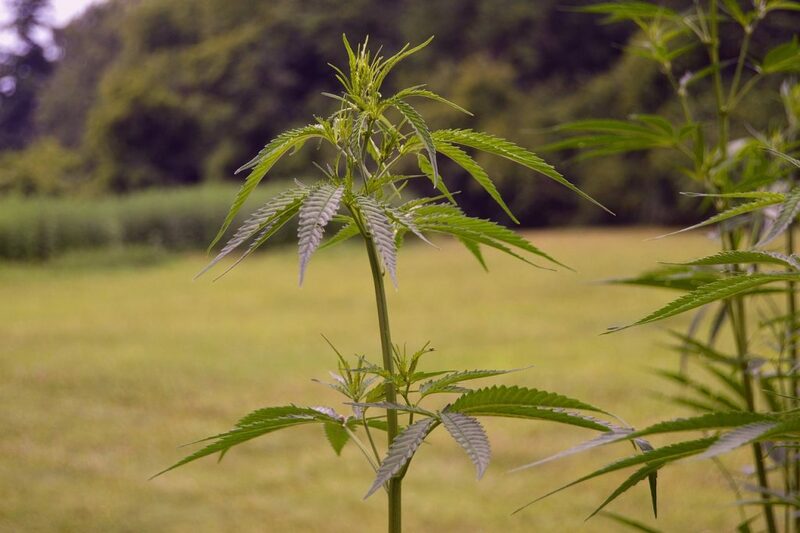 As marijuana tends to grow to be quite tall, with some reaching over a meter in height, you want to take this into consideration when choosing your location. We recommend that you choose your closet, your basement, or your spare room if you have one when you are just starting out. Your “grow room” must be easily accessible and have elbow room, as you’ll need to maintain your plants and examine them every day to make sure they are growing correctly. You will also need space for equipment such as a grow light, as they will be required if you want healthy growth. In addition to the room, you’ll need to make sure that factors that may contribute to the growth and health of your plants are closed off so that you can control the variables that contribute to the growth of the plant yourself. An example of this is temperature and moisture, as you want to be able to control these variables and not let the environment control it, as marijuana requires specific variables to be able to grow well (did you know that if you increase the CO2 levels from the normal 400 parts per million (PPM) to 1500 PPM, you will end up with 30% more buds when it is harvest time! That’s why we recommend getting a CO2 regulator). Second, you want to choose the lights that will be used to grow your plants. As we said in step one, you need to have enough room to install these lights inside. This part is one of the more expensive parts as you’ll need to invest quite a bit to get quality lights that are durable, long-lasting, and efficient. If you don’t want to delve into all the lights that you can choose from, then we recommend that you get a HID grow light, as these are efficient and not that costly compared to another lighting such as LED lighting. You can also choose to go with a fluorescent grow lights if you want to save a bit more money upfront, but you’ll spend a bit more eventually due to the efficiency of fluorescent lights not being that great. Third, you’ll want to get an inline fan that can help control the temperature inside the grow room. If you are using an air-tight room, then you will also need some sort of ventilation to allow oxygen to exit and to allow carbon dioxide to enter, as it is required to allow photosynthesis to take place. From one of the steps above, we stated that you’ll need to choose a location that won’t affect the temperature of your grow room. This is especially important in this step because you’ll need to keep the grow room at a temperature of 70-85 F during the sunlight phase and 58 – 70 F during the night phase. This all depends on the origin of your seed, so make sure that you are informed on where your seed originated from to help them grow better in their respective temperatures. You eventually want to automate everything, but when you are just starting out and learning everything, it is better for you to do everything manually, so that you get how things work and how to resolve issues when your equipment malfunctions. This is because when your fans and lights stop working, you’ll have to manually tend to your plants while replacements arrive and if you don’t know how to tend to them, your hard work will simply die off. Fourth, you’ll need to choose the soil you want to grow your plant in. We don’t recommend that you start with soilless because it requires you to feed it with nutrients to keep your plants healthy. With soil, your plants will be able to derive the organic nutrients without you having to intervene in the process. However, as you progress and become more of an expert in growing, you may want to turn to soilless because it allows you to grow your plants in an automated hydroponic system. Normally, most people would use a simple pot with ventilation and drainage near the bottom, but if you are money-tight, then using a plastic bag or cloth bag is also an option. However, you will have to tend to the money that may get stuck on the bottom, as weed aren’t tolerable to water-logged conditions. Fifth, you’ll need to water your plants, so that it can have water to use during its photosynthesis reaction. This will allow your plant to grow healthy and be able to create food for itself which is essential for growth. Make sure to use chlorine-free water, as it will harm your plants’ roots after extended amounts of exposure. Lastly, you’ll need to consider the light cycle that your plant is in. After around the time when buds start to form, you’ll have to change your light cycle to put your plant in the flowering phase from the vegetative phase. To do this, change your light cycle from 24 hours to 18 hours and 6 hours dark, as this will transition your plant to change phases and to start its flowering phase in which your plant will almost double in size and give you the yields that you are expecting. After months and months of growing your weed, it is finally time to harvest it (we’ve written a guide how to do it here). When harvesting it you’ll end up with big buds that you cannot fit into a weed grinder for example. This is where a bud trimmer comes into play, with a bud trimmer you can efficiently trim your buds into perfectly-sized buds that are ready to be used. If performed correctly, you will have gained tons of experience from your first harvest. 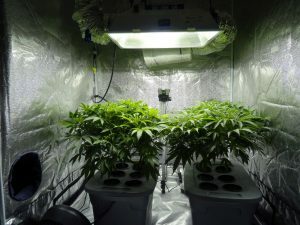 Now, all you must do is repeat with more seeds and eventually, you’ll be able to grow out of your first setup and move everything to a larger space to grow more marijuana at once. We hope that our guide on how to grow weed has helped you in becoming more educated in this space and we wish you good luck in your first harvest!